Every time I go back to the UK I have the opportunity to visit different towns in the Lake District. Luke has family up there so we can explore the region for days on end, usually during the quiet winter months. 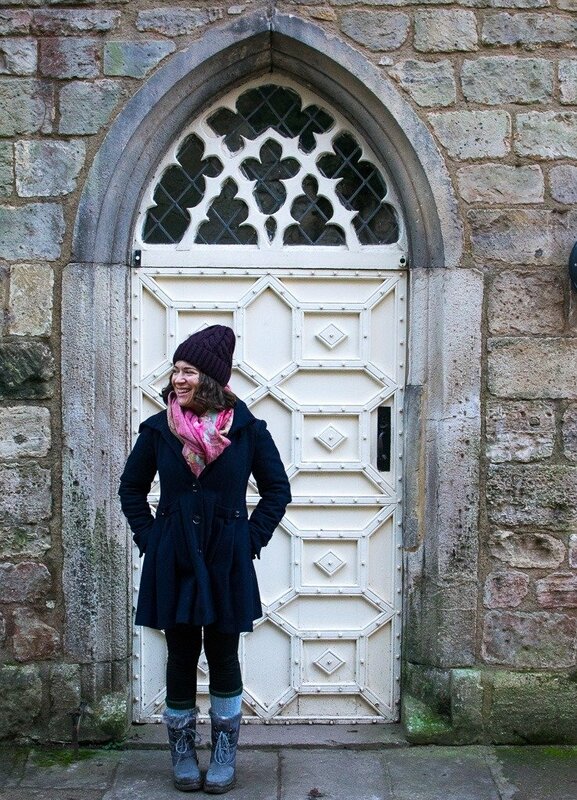 I love exploring the natural beauty of the area and enjoying all of the different things to do in Lake District like visiting the old market towns, drinking at the cozy pubs, and going on walks around all of the different lakes. I think my favorite thing about the lakes is just how many great small businesses there are to support. It’s a haven for artisans and over the last four years that I’ve been visiting, new places crop up each time. These seven towns are my favorite for different reasons. Some give easy access to the water and great walks while others are tiny little villages with the best breweries around. Here’s why I love each and every one of these little Lake District towns. Penrith was the first of the large towns in the Lake District that I visited. It has stunning old stone buildings, really great pubs, a train station to get you in and out with ease, and an incredible set of ruins right in the middle of it all. During the summer months, all of the towns in the Lake District are flooded with tourists, so I prefer to come in the shoulder months, especially to a town like Penrith where there is still plenty to do when the temperature drops and the rain pours down. 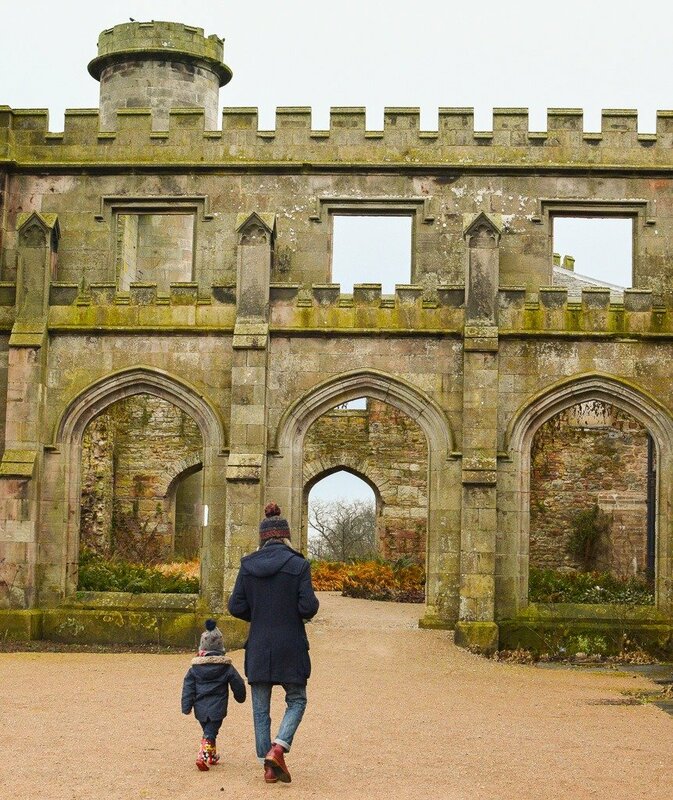 On my most recent visit to Penrith, I headed to the Rheged Centre where we got to hang out with Santa and shop for local Lake District beers, whiskeys, and desserts. 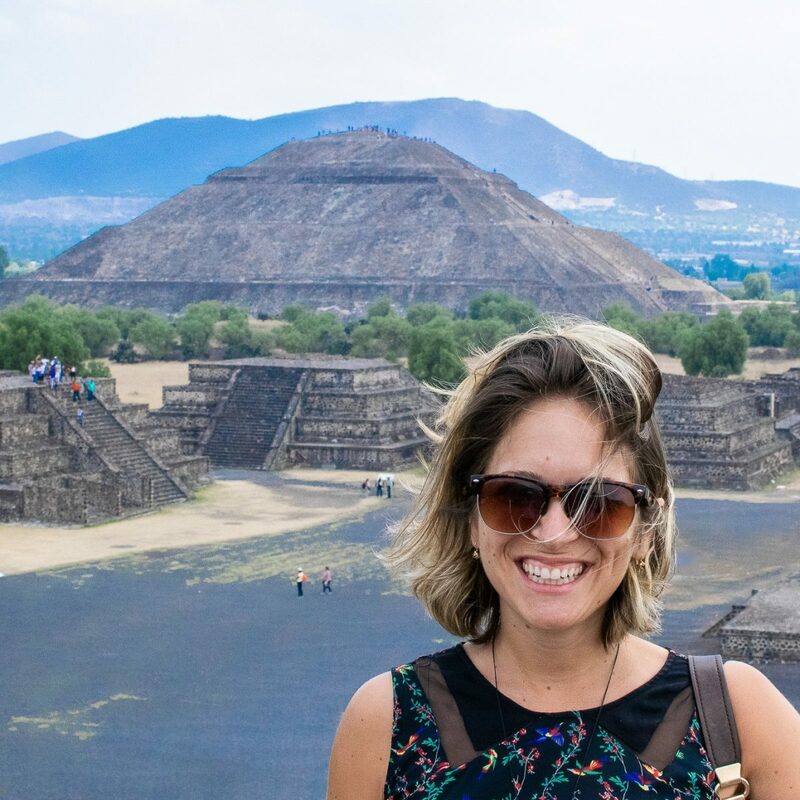 There are gorgeous little boutique shops inside where you can find local wool products, locally made pottery, and then head for a movie, too. I loved being able to shop for local goods all under one roof. Lake Windamere is by far the most popular lake to explore in the Lake District. The town of Windamere is also a wonderful place to explore. I usually head here for a day trip, park my car, and walk around the lake and town for hours. Windamere has lovely cozy pubs, nice cafes for coffee and cakes, and ample street parking. I love walking around the streets of the little town and discovering new-to-me cafes and boutique shops. It’s the sort of place where you accidentally buy lots of little kitschy souvenirs because it’s all just so enticing. 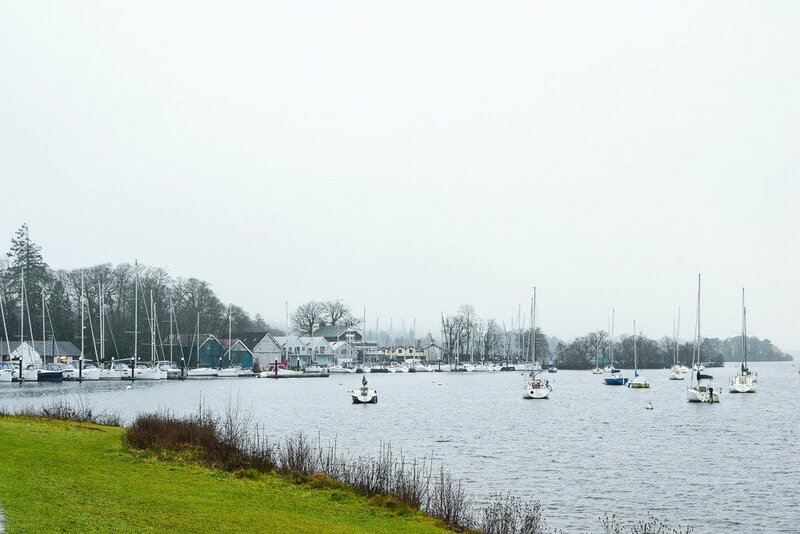 Bowness is another nice town that sits along Lake Windamere. I only really discovered this town by mistake when I was trying to find a place to park, but I think I like it even more than Windamere. 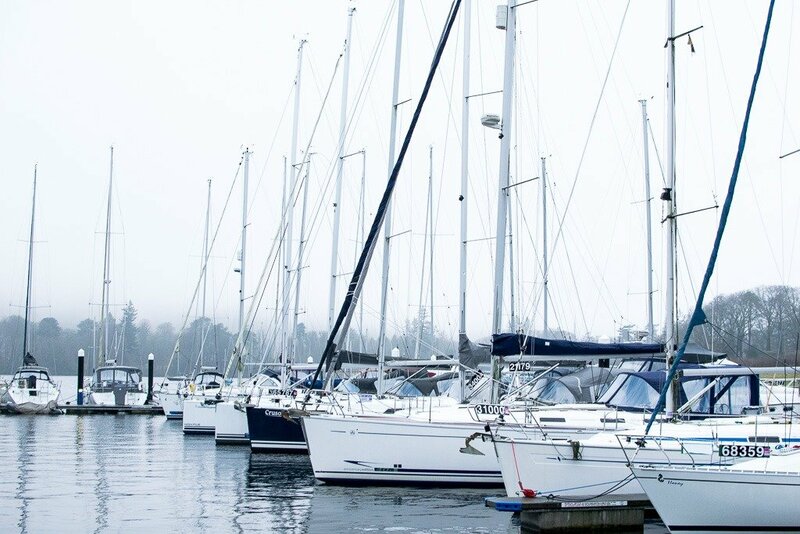 It has several free parking areas as well as a few very reasonably priced parking places so that you can easily spend the afternoon walking the lakeside paths and having a coffee in one of the town’s many cafes. The other thing that makes Bowness a big draw is that it’s where you can catch a ferry to different towns around Lake Windamere. Ferries are really reasonably priced and you can even take one round trip just to get out on the lake. You can take these ferries year-round. Near the ferry terminal, during the summer months, you can also rent canoes or kayaks to get out on the water and do your own self-guided tour of the lake. 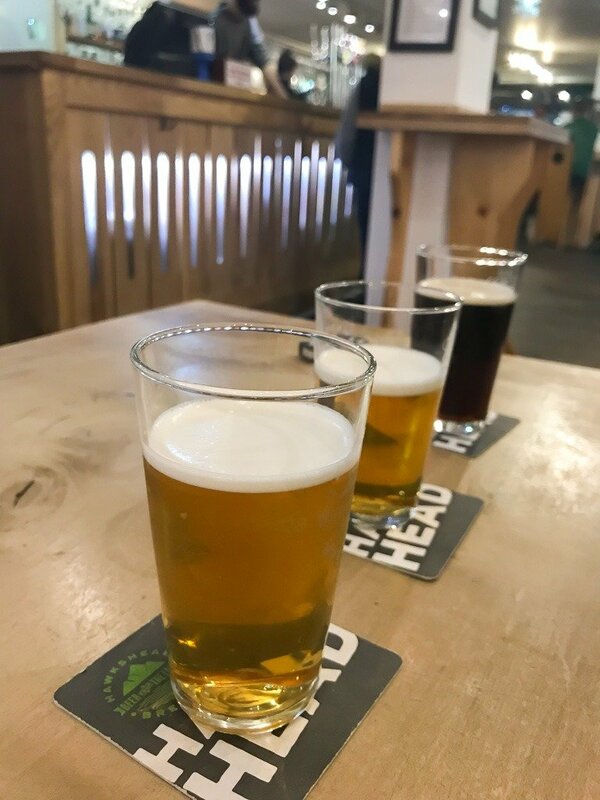 There’s really one main reason to come to this tiny village outside of Windamere: The Hawkshead Brewery. The town of Staveley is quite literally a single, semi-circle road with a few streets stemming from it. One of those streets takes you into what looks like an industrial estate. This is where you will find the awesome Hawkshead Brewery. They have so many great beers and I also love that they brew seasonal beers, so every time I go back, they have a different beer on offer. Another reason to love Staveley is the More? Artisan Bakery. It’s located in the same little estate as the Hawkshead Bakery and they make divine bread and coffee. I wish I lived near this bakery because I would come here every single day. Kendal is a nice old market town with beautiful cobbled streets and gorgeous little pubs. 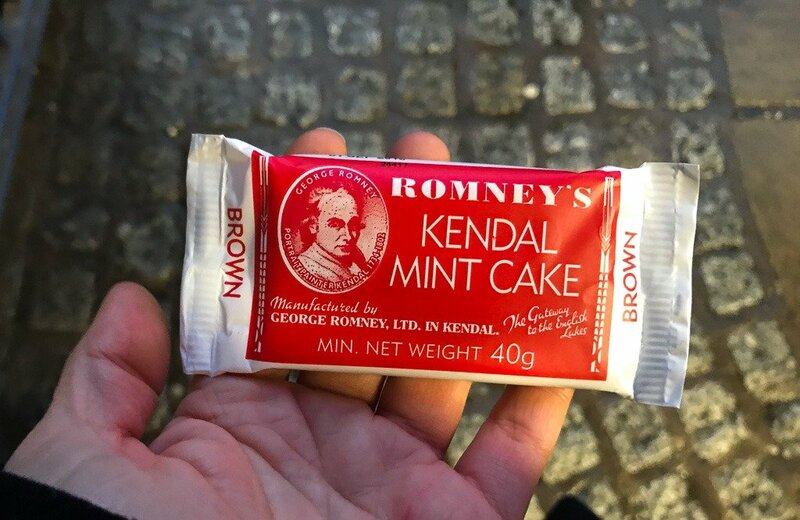 I went to Kendal to walk around and to try Kendal Mint Cakes. Mint cakes, confusingly, aren’t mint cakes at all. They’re sort of like a candy bar that tastes like pure mint. It’s like chewing on a mint. A small piece is really more than enough unless you have some stinky breath! Another spot worth checking out in Kendal is Kendal Castle. It overlooks the town, but is a quick drive from the center and is well worth a wander around. It’s mostly in ruins, but there are a few plaques so you can learn about the role it played when it was built back in the 13th century. Just be aware, if you’re visiting Kendal during the winter months (when it’s lovely and quiet and cheap! ), it can get pretty foggy, especially once the sun sets around 4:30. It’s a bit higher up than the surrounding towns, so the fog can sit right in your line of vision and was very thick. There were some moments when we were driving between Kendal and Penrith when it was nearly impossible to see in front of us. Try to travel during the daylight hours. Keswick is a gorgeous town in the Lake District that truly shows what a stunning region of the UK the Lakes are. Keswick has its own local brewery, the Keswick Brewing Company, which is definitely worth a visit. You can take a tour of the facilities before sitting down for a few samples. I’ve never seen it outside of Keswick, so it was nice to try it at the source. I just love wandering around the towns wide pedestrian streets and walking into the different shops. There’s a little bit of everything here and if you get high enough to take in the views of the surrounding lakes you won’t be sorry you made the trip. 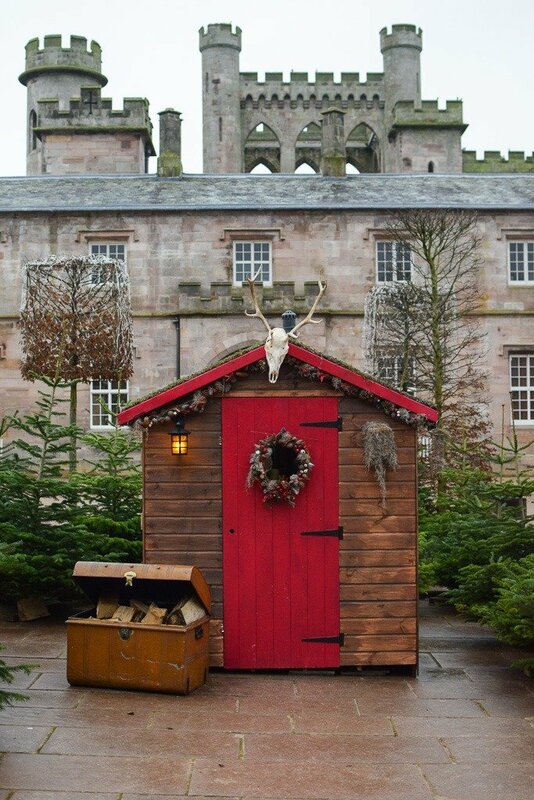 They even decorate the castle in spectacular fashion over the Christmas period. 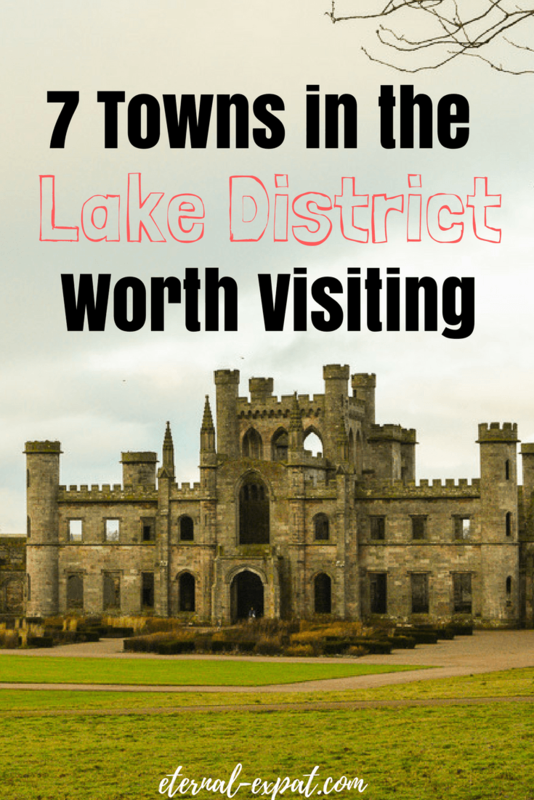 Lowther is a small town that you may quickly drive through, but be sure to keep your eyes peeled for the turn-off to Lowther Castle. This privately owned castle and gardens are one of the most stunningly preserved ruins in the entire region. Some of the castle has been rebuilt to demonstrate what it was really like during its hayday, but much of it has been left in its decaying state. If you visit during the low season, you’ll likely have the whole place to yourself. It’s truly stunning and the grounds and gardens are great for families, too. They have a huge kids play area with swings, slides, ziplines, and climbing structures. It’s so well made and is big enough to keep kids occupied for hours. Read more tips about visiting the UK here. So many cute and quaint towns! Thanks so much for sharing!